Another week down the tubes. I feel somewhat better about this past one than the one before that, but only somewhat. I did get busy on some more writing than I had been doing, even creative (i.e. nonblog) writing — particularly while being a substitute teacher on Thursday. However, I do have to kick my keister if I am going to have posts up for Sunday, Monday and Tuesday, as I am hoping to be quite pleasantly busy once our guests arrive for the weekend (perhaps that can be my topic for Tuesday and Wednesday: the visitation for Labor Day, as I already have some considerations underway for the holiday itself). Janet kept me hopping in preparation for this visit. We had purchased some new home fire/smoke alarms, and she wanted those up, so I unplasticked them and pulled down the old ones. Well, to be honest, I did one new one and took down one old one, the one for upstairs. Those new alarms were double-wrapped in that stiff plastic that everything comes contained within these days (but at least the outer layer was made of two separate parts, a front and a back, that could be separated, unlike so many productsʼ casings). Within, the information sheet was huge (about two-and-a-half feet long by twenty inches wide) with the directions/information printed in teensy type and four or five languages. I know I am being an old guy to complain about typesize on these things, but I really have to strain of late to read such itsy-bitsy print. As these new alarms were the same brand, FirstAlert, as the old ones they were meant to replace, you would think that the bases would measure about the same, so the typical homeowner — me — could use the same holes already drilled in my ceilings for screws to attach the base. Nope. Not even close. The new devices are roughly a half-inch less in diameter, so I could use one of the old holes but not the other. 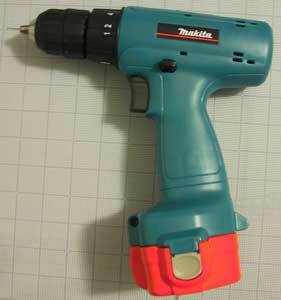 However drilling one hole to line with the little red plastic screwholder is easier than two. So I put the little base ring in place on one of the old screws in our upstairs location and tried with fair success to mark where the second hole should be drilled so that the other hole already there would be hidden by the device when everything was in place. Then I twisted off the plastic base and used the good old (actually not the old one, the newer one — maybe that could be a topic for a post one day) Makita cordless to drill the hole. Having pressed in the plastic screwholder and screwed in a screw (by hand — I am so decidedly old school: it was just simpler to use an actual screwdriver than change out the bits in the Makita), I replaced the base successfully and then attached the device onto its base. Easy as pie, and I was done only ninety minutes later (perhaps I should never have read the directions/information) with one more to do, downstairs. In the basement we had moved the old alarm from its original position because the steam from our shower (we tend to shower without closing the bathroom door, as itʼs just the two of us, a habit we will have to remember to cancel this weekend with company in the house) fairly frequently made the alarm sound. And with the old ones, the only way to silence a false alarm (and boy, those alarms are really, really annoying when they arenʼt signaling imminent, genuine danger) was to open the top and pull the battery away from the contacts — not so easy with nine-volters, either. As the new ones have a false-alarm-silencer feature, I thought I would attempt to use the old (still plastic screwholder-filled) holes in the hall by the bathroom (still in my mind the best location for a fire alarm). But as we would need to test how sensitive the device might be, I wonked it up with only one screw (so far), and so far the alarm hasnʼt gone off while we were bathing. Maybe today before the guests arrive, Iʼll have to drill and insert that second screw. I decided to leave the old alarm in our large other room in the basement because the new directions show putting an alarm in just about every room in the house. We may even find a spot for the other old one upstairs, perhaps in this very office where I am typing these mortal words. Actually, Wednesday was a very productive day for me, even with two hours taken out for the appointment with the surgeon. I tore apart our shower in order to clean the doors and the tracks and every nook and cranny that only I ever clean. I even let the rainfall help to cleanse the chemicals from the doors before I put them back in about 5:00 p.m. I also made more squash soup, including one batch to share with the neighbors who gave us the squash (made without garlic for their allergies). And of course, I installed the new fire alarms. All that and I wrote Mondayʼs post and most of this one! Too bad every day wasnʼt that worthwhile. But I am trying. This entry was posted in kitty, Uncategorized, Writing and tagged Andrew School, blog update, boring, kitty, nonfiction, technology. Bookmark the permalink.